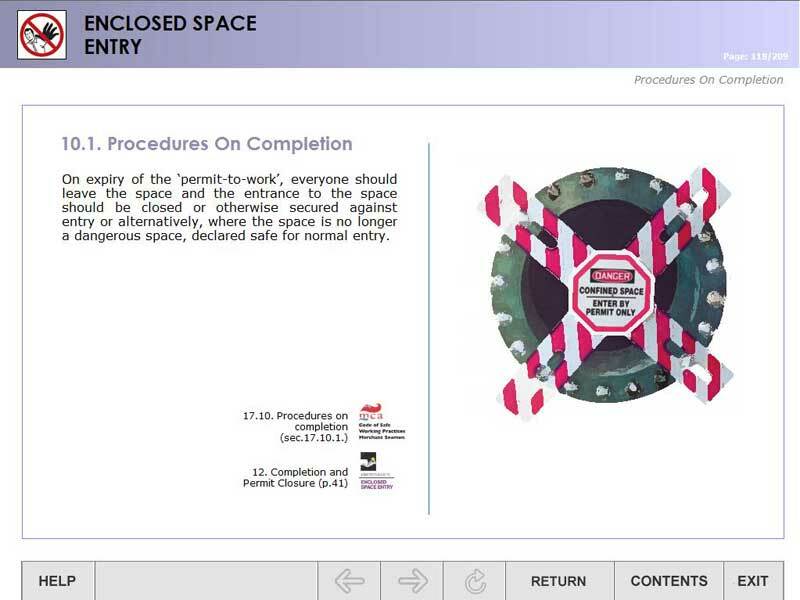 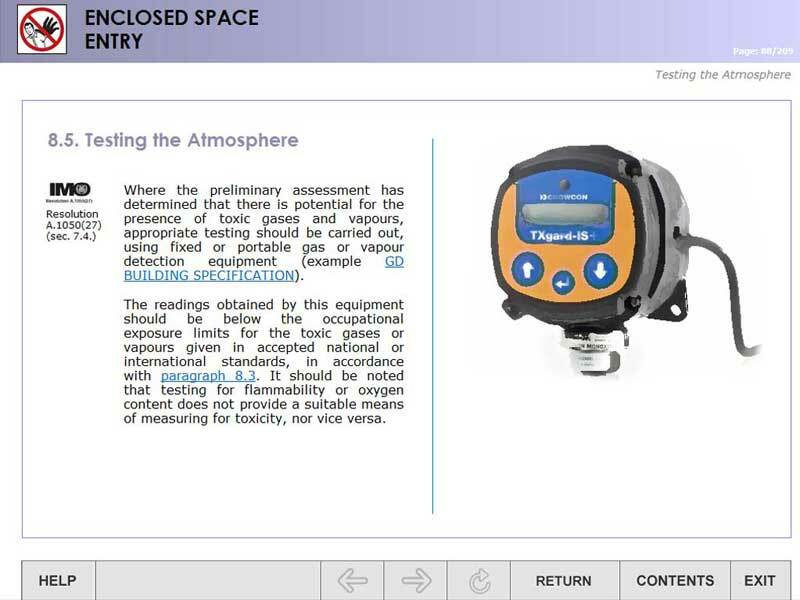 "Enclosed Space Entry" e-learning module is intended for training of marine ships’ crew members in accordance with IMO Resolution A.1050(27) “Revised recommendations for entering enclosed spaces aboard ships”, requirements of Section A-V/1, recommendations of Sections B-V/1, B-V/b and B-V/c of STCW Code. 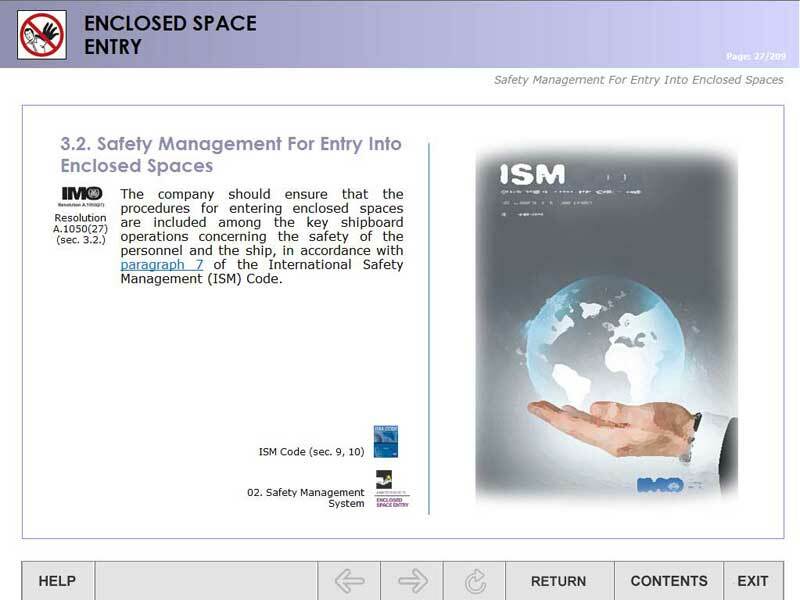 E-learning module is the electronic textbook on one or more topics of special disciplines. 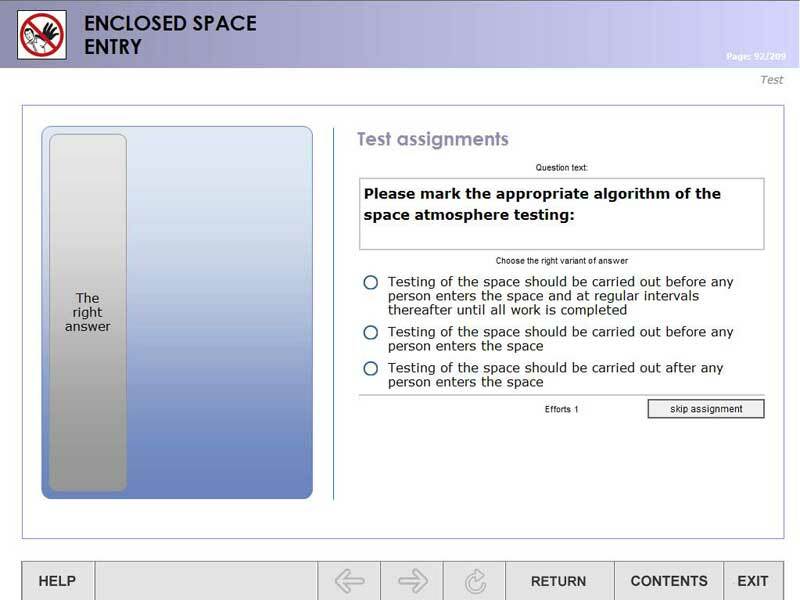 Theoretical materials are accompanied with drawings, diagrams, photos, animations and video clips.